i would like to have more knobs in the mixer like 1-2 FX Sends or a 3 Band EQ. I dont use the pan knob not really often, instead more other knobs like in the BM3 or Caustic. i would like to have more knobs in the mixer like 1-2 FX Sends/ Aux or a 3 Band EQ. I dont use the pan knob not really often, instead more other knobs like in the BM3 or Caustic. There are no "hard wired" sends in nanostudio like in other daws ..
As I get it, or maybe don’t, I guess “reloop” means more knobs as a visual representation. 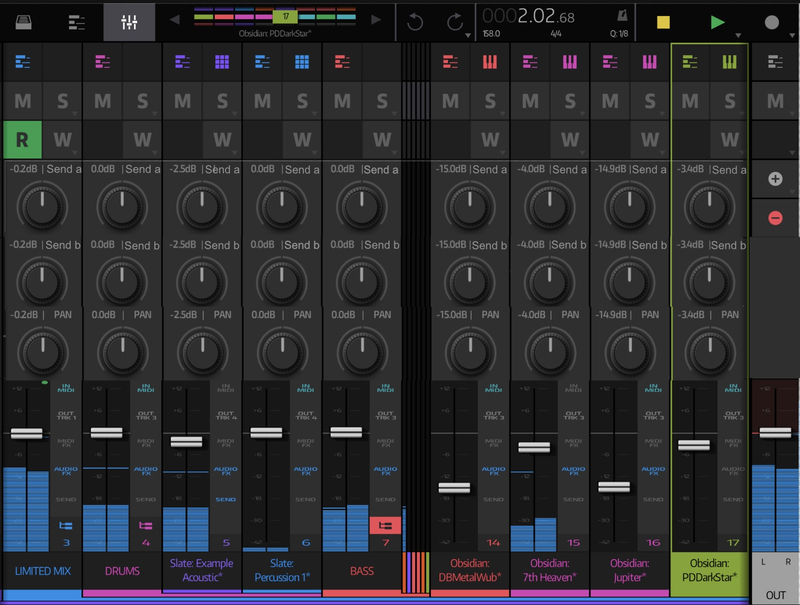 Like a more complete/advanced “mixer channel strip”. I believe removing the pan and adding EQ knobs will cause a massive riot amongst users, possibly meaner than that about the sustain pedal. Yes you`re right Zupi. I thougt additionally to the pan knob some other knobs for fast adjustments. For Example: Pan, Filter, Aux 1 , Aux 2. Or Pan, Mid , Bass, Hights, Aux. The graphic vu meter could be smaller instead. @Zupi ah understand now, thanks for additional explaining. I'd definitely make regular use of a couple of visible send knobs. Don't know where they'd go though! An alternate mixer view where the volume sliders go short? Then it's a question of where the toggle would go and whether or not it's feasible on iPhone. Or maybe a new SENDS view in the Instrument Switcher? You can automate them. Do you mean with part automation? Eff me, I totally was looking past in in track automation!!! I'd definitely make regular use of a couple of visible send knobs. Don't know where they'd go though! double tap on fader switches fader to column of send knobs with small horizontal vu meters bellow each knob ? ideally srollsble in case there is more sends.. then double tap again switches to fader view ? You are not idiot. I am !! I was just about to write "yes, that would be great" and then i saw Stiksi's reply. After 4 years with NS. So called beta tester. What a exceptional blind dumbass. You guys! I'm really happy for you. It's like you just got an epic NS2 update. I feel this way semi-regularly. Disagree. NS is insanely deep. Ultimately you'd need Master Blip's mind, which of course is impossible. The learning curve on this thing is STEEP! But the workflow has been oiled thoughly and covered in the same material that coats a Teflon frying pan... ie you whizz around it at lightning speed, often forgetting to look out of the window. 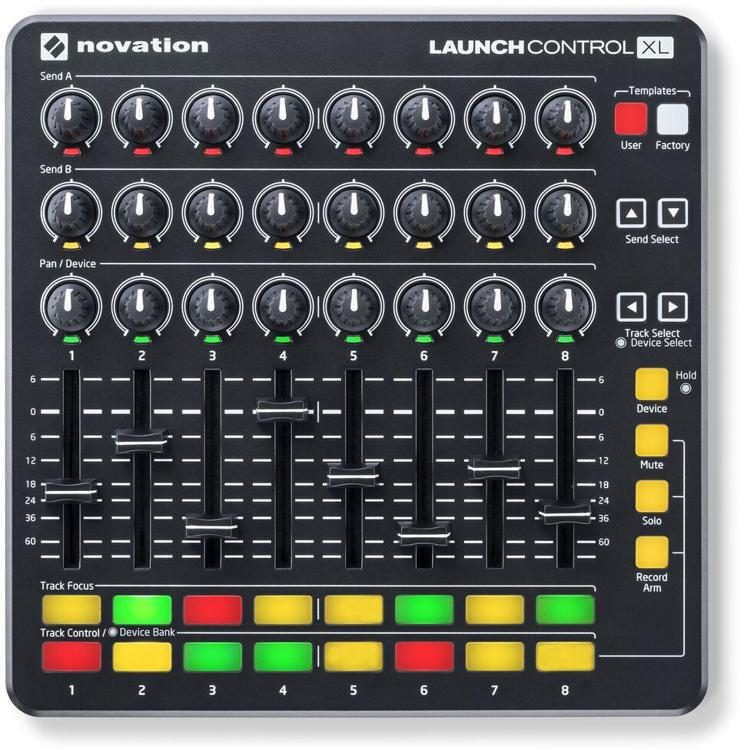 Hey, this would be really amazing if it has two send knobs a and b and One pan knob like the novation launch control midi controller. You could do a midi Mapping 1:1 for the novation Controller. @reloop Nice mockup. You can set this up now via MIDI Learn. You have to add the sends first in order to see them in the MIDI Mapping screen. Works a treat. You just wont be able to see the values for the sends on the main mixer screen. Set it up once and save it as a template for starting new projects. Without a Midi Hardware Controller it would be nice to have also. For example for Electronic Music it is essential to change fast and live the reverb and Delay effect. And who needs so big volume faders? I think it is a waste of space und functions. Long faders are great for making accurate small adjustments. Because touch screens aren’t super precise, the extra space is also good for recording smooth starts and ends to fades. But I really like your mockup, it could be a genuinely helpful alternative view. Great work! But I really like your mockup, it could be a genuinely helpful alternative view. Great work!